Ever gone fishing on a golf course? Here’s your chance. Mack Atwood, 5, of Orland shows off the brook trout he caught at a youth fishing day at Bangor Municipal Golf Course on Oct. 25, 2015, as his father, Anthony Atwood, checks out the fish. In all my years of golfing (badly), I’ve done plenty of things on the course. I’ve air-mailed plenty of balls into the woods, hit myself in the noggin with my own ball (don’t ask) and watched as a golfing buddy chased down a squirrel that had just run off with my ball. I’ve four-putted, flushed more than a few into the water hazards and eaten all kinds of marginally delicious snack shack hot dogs. Heck, I’ve even hit a few shots that behaved as I’d intended. But I’ve never, ever fished on the links. Come Sunday, area youngsters will be able to do just that, as Bangor Municipal Golf Course hosts its annual Kids Fishing Day at the pond fronting the course’s second green. Kids of all ages are invited to fish from 11:30 a.m. to 2 p.m. The pond has been stocked with 175 eager brook trout, and no license is necessary for the free event. 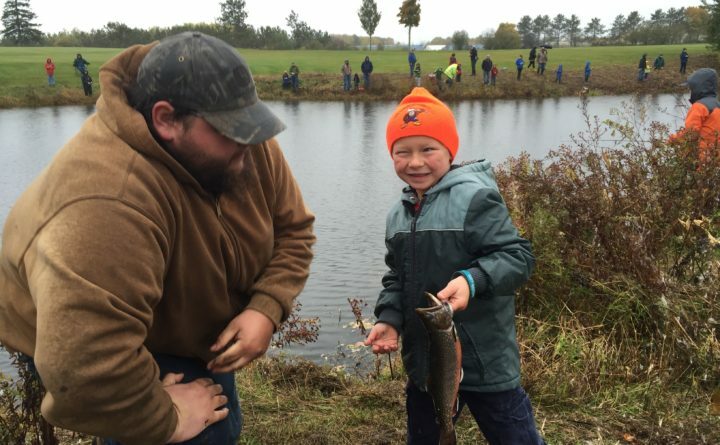 Bangor Muni has been holding the fishing day since 2015, and it has proven popular, with dozens of young anglers participating each year. — Use any bait you like, but you must have your own equipment. — All children must be accompanied by an adult. 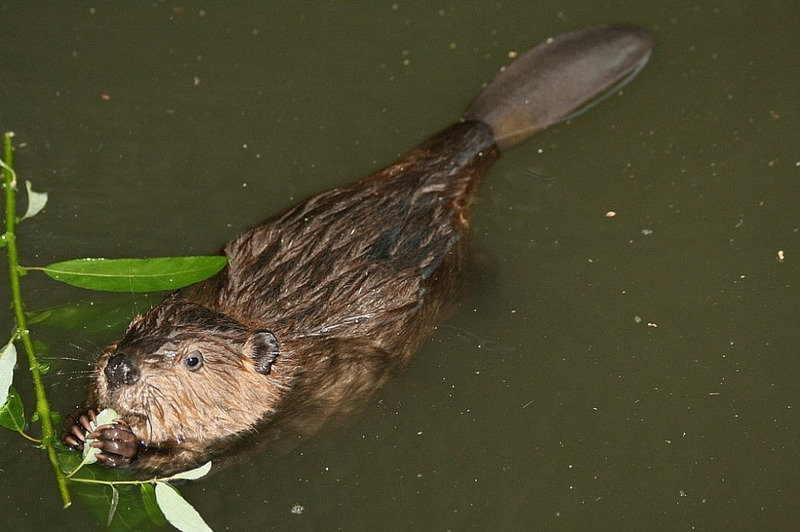 — Anglers are encouraged to keep as many fish as they like. — Fly fishing won’t be allowed due to the typical number of attendees and the space that’s required to make a fly cast. — Curiosity is encouraged: A fisheries biologist will be on hand to answer any questions you might have. A few weeks back, our regular gang of bird-hunters and moose-watchers reconvened at our usual place — Rob Hannigan’s camp on Brassua Lake — and made a few new memories. This trip marked a return to bird hunting for my English cocker spaniel, Teddy, after a one-year hiatus. Alas, Teddy came down with a bit of a stomach bug during the trip and didn’t have much energy. He did, however, excel at lying around camp, renewing friendships and demanding that people pat him on the head or rub his belly. Our group has made a similar trip to the Moosehead Lake area for several years, but typically we have aimed to spend a few days during the first week of October. Our thinking: A trip during the first week of bird season gives us a crack at birds who might not be quite so skittish. In addition, moose are often receptive to calls during that week, which falls in between the state’s two busiest six-day moose-hunting sessions. That has led to some interesting interactions, and the chance to take some cool photos and video. This year, we didn’t get up to Brassua until a couple weeks later, and while we didn’t have any luck calling in moose, the birds were certainly not shy. In fact, this might have been the most productive trip we’d ever taken, even though we downsized our “fleet” of vehicles and packed all four or five of us in a single pickup each day. With roughly half as many miles traveled, we ended up seeing about twice as many birds as we have in some other years. And as usual, we packed enough food for a week and ate like kings. Chris Lander again took command of the kitchen (and the grill), though this year Teddy served as a self-appointed sous chef and supervisor. Billy Lander, Earle Hannigan and Pete Warner rounded out our group. Among the lessons we learned: When you wake up and the wind is blowing 40 mph, don’t go back to bed. Go hunting. We did just that on one amazingly blustery morning, and while we didn’t see many other hunters on the roads, we saw more birds than we’d ever seen in a single day. Last week I asked a question that I was sure would generate some response: Why do you hunt? I was right. Several readers took the time to answer either that question or a variation of it. Thank you to all who did. I’ve really enjoyed reading them all. Even the email that told me I didn’t have to hunt to walk in the woods, nor spend time with friends, nor enjoy nature. (Unstated, but implied: You’re nothing but a bloodthirsty animal killer). If you’ve been meaning to share your own thoughts on the matter, here’s your last reminder. Just drop me a line at the email address below. Then stay tuned. I’ll be offering a roundup of responses in the days ahead.